Humans must sleep! While there are numerous reasons for sleep, the most basic and all encompassing reason is to maintain balance among all of the systems in the body. ​A lack of sleep leads to decreased function among key areas of the brain. For example. the frontal lobe, which is important for higher level thinking and problem solving, is suppressed when sleep deprived. Additionally, the amygdala, which processes fear and other emotions, has increased activation. 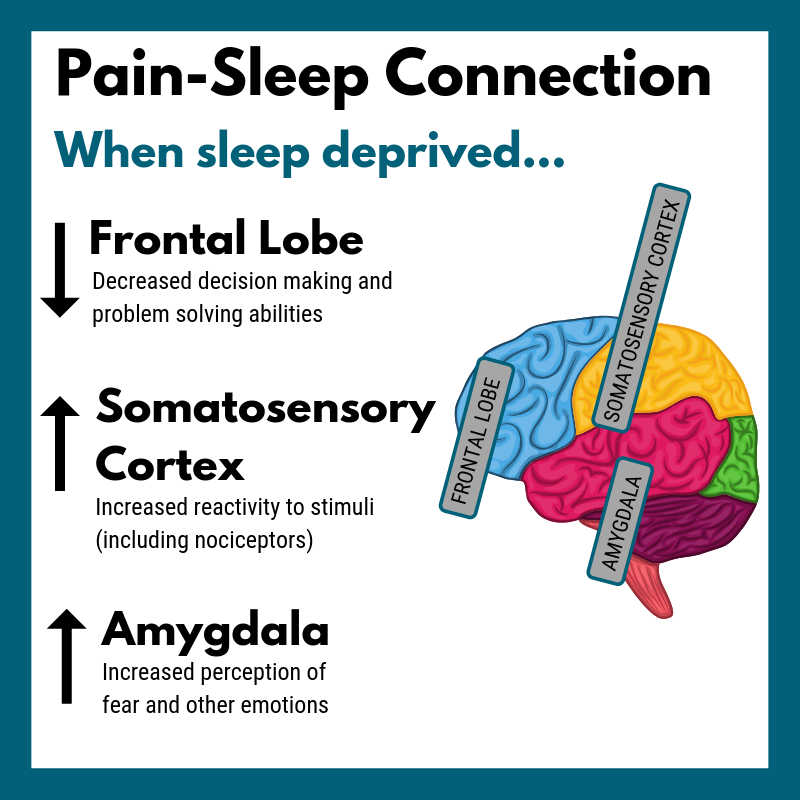 As a 2019 Cosmos article wrote, "After just one night of sleep deprivation, the brain region that senses pain goes into overdrive, while other regions that help modulate that pain response go on strike." Not surprisingly, sleep complaints are present in 67-88% of chronic pain disorders. ​This impacts key hormones in the brain, primarily dopamine, serotonin, and cortisol. Each of these hormones impact mood, thought processes, and overall energy levels. Sleep health is a multidimensional pattern of sleep-wake-fulness, adapted to individual, social, and environmental demands, that promotes physical and mental well-being. Good sleep health is characterized by subjective satisfaction, appropriate timing, adequate duration, high efficiency, and sustained alertness during waking hours.